I’m Lieutenant Richard T. Rilee of the Newport News Fire Department Fire Marshal’s Office. Newport News Police and Fire need your help to solve recent cases of Arson. On January 14, 2016 between 8:00 and 8:15 pm some unknown person started a dumpster fire in the 500 block of Bulkeley Place. The Newport News Fire Department responded and extinguished this fire. This dumpster was the first of three (3) dumpster fires set is less than one hour. The second fire was set in the rear of the Deyoung’s Boots located at 6139 Jefferson Ave. and the third in the rear of the Rent-A-Center located at 605 New Market Drive North. 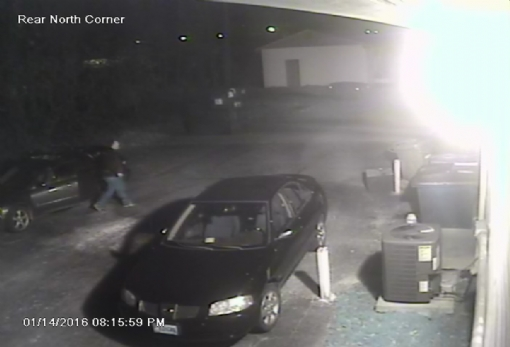 Surveillance video provided shows a male suspect driving a small unidentified vehicle park and leave his car, walk to the dumpster, return to the vehicle then drive away. Moments later the fire erupted. The vehicle was also caught on video at or near the three arson scenes. The man is described as a w/m 180-220lbs, 5`6"-5`10. 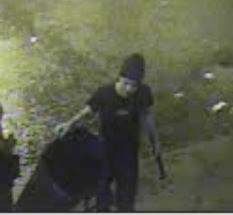 Police and Fire also need your help to solve a 2014 case of Arson. On December 25, 2014 at 2:25am an unknown person set a fire in the rear of the DAV Thrift Store located at 15265 Warwick Blvd. in the Denbigh section of the City. This arson remains unsolved. I’m Fire Assistant Marshal Richard T. Rilee. I’m Assistant Public Information Officer Brandon Maynard. Newport News Police need your help to solve an attempted robbery from business. 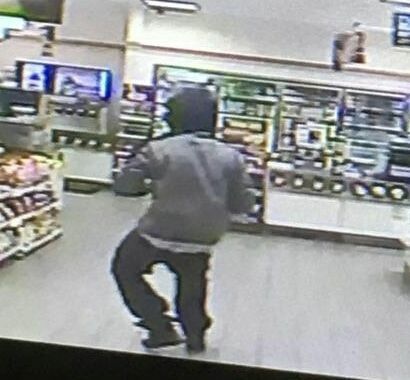 On January 8, 2016 at 2:46 am Newport News Communications received a call of a robbery in progress at the 7-11 located at 1401 Kiln Creek Parkway. Officers responded and located the night shift clerk unharmed. The clerk stated an unknown man entered the business with a hand gun and demanded cash. The suspect is described as a male 5’7-5’9 about 140 lbs., wearing a black knit type hat or hoodie, aviator style sunglasses, a white bandana over his face and dark baggie jeans. The man displayed a handgun wrapped in a white cloth with the barrel showing. The suspect appeared nervous and fled the business when the clerk approached him. I’m Newport News Police South Precinct Commander Eric Randall. Newport News Police need your help to solve a recent shooting resulting in murder. On December 30, 2015 at 5:45 p.m. Newport News Police Communications received a call of a shooting in the area of 30th Street and Madison Avenue. When officers arrived they located a 33-year-old Damian Ramon Terry, of the 3400 block of Marshall Avenue, lying on the sidewalk near the intersection suffering a gunshot wound to the chest. Medics transported Mr. Terry to a local area hospital. He was pronounced deceased at 6:11 p.m.
To date the investigation has produced no suspects even though rumors from the street report the victim was shot by a person in a dark colored vehicle which drove past south bound on Madison. The rumors also say there were multiple witnesses to the shooting. Police need your help to stop the rumors and provide facts that will bring the person/or persons responsible to justice. I’m MPO Richard Santel. Newport News Police need your help to solve a recent robbery from business. 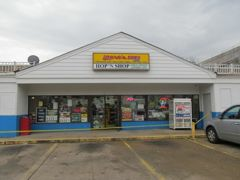 On December 24, 2015 at 3:02 pm officers responded to the Hop N’ Shop convenient store located at 12961 Jefferson Avenue in reference to a business robbery. 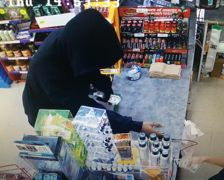 An unknown man entered the business, produced a black handgun and ordered the clerk to give him cash from the register. The suspect is described as a black male, 6ft tall with a medium complexion, wearing all black with a large hoodie covering his head and a black in color scarf covering his face. The man took the cash and fled on foot.